FULL START-UP PACKAGE ... WITH A TIGHT LAUNCH DEADLINE. 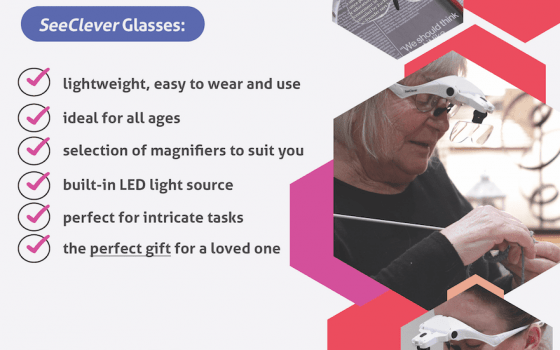 Marketing Empire were assigned to help launch a new wearable-glasses website within a tight deadline. 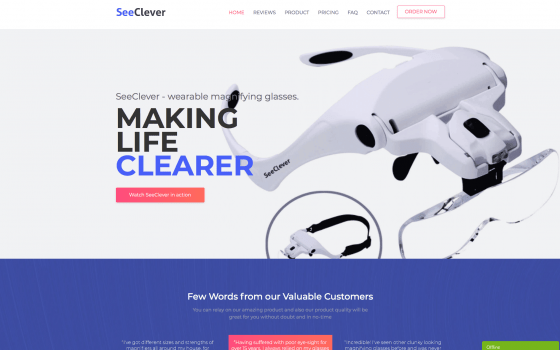 SeeClever, the start-up behind the wearable magnification glasses, assigned Marketing Empire to produce their branding, design their flyers ready for distribution, and develop a responsive, modern e-commerce website that can handle daily transactions. The entire project was completed in under 5 weeks, ahead of the client’s launch. “So, so pleased with the effort you guys have put into our project, ensuring it was delivered to the highest quality prior to our launch – thank you! The website not only looks amazing, modern and responsive, but the process of placing orders through the site (from the customer point of view) is so fluid and easy – one of our initial concerns.